Deep in the somewhat cafe-starved recesses of Brunswick West, Lolo & Wren is bringing the locals something they have been waiting for. Franco Caruso (previously of Richmond Hill Cafe & Larder and 2006 Scottish Young Chef of the Year) is behind the pots and pans while his wife Karen is taking charge of the floor. Caruso’s focus has always been produce and tasty food that puts a smile on people’s faces. And the food at Lolo & Wren is going to do just that. The avocado and pebre salsa bruschetta is a perfect summer dish filled with herbs and flavour, while the chorizo sliders are already looking like a crowd favourite. The menu features plenty of other tempting and creative options, like the herbed crepes or the zucchini fritters. 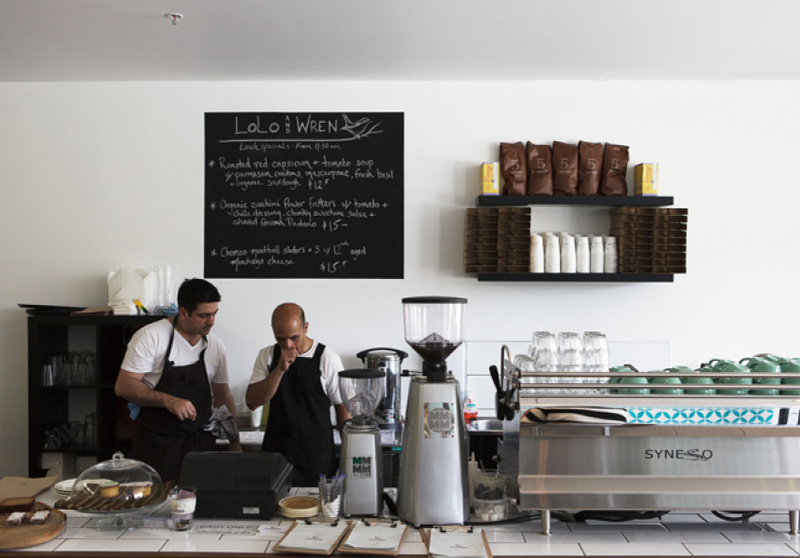 Local and organic produce is at the heart of this little cafe. They’ve also nabbed themselves Luke Basham from Fenton Farm, who’s growing some fine produce just for them. 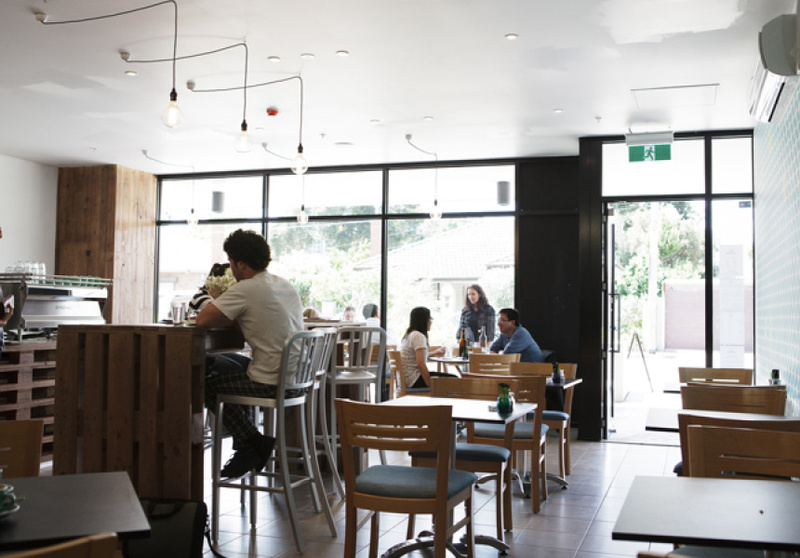 The couple was also heavily involved in the design and fit-out of the cafe, which was largely inspired by recycled materials. 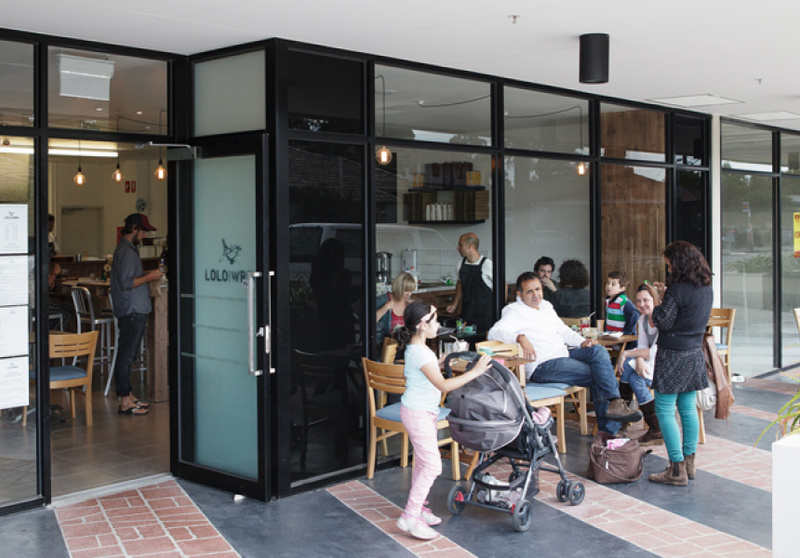 The hard work has paid off with a light, open space, perfect for a relaxed coffee and a bite to eat.